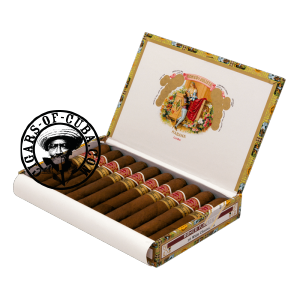 A massive 55 ring diameter from Romeo y Julieta, produced as part of the Churchill's family along with Churchill and the Short Churchill (the Petit Churchill arriving in 2012 to complete the line up). Despite its size, this cigar is marked by a smooth beginning and will increase in flavor and strength with typical RyJ flavors. A big, round smoke for all aficionados.